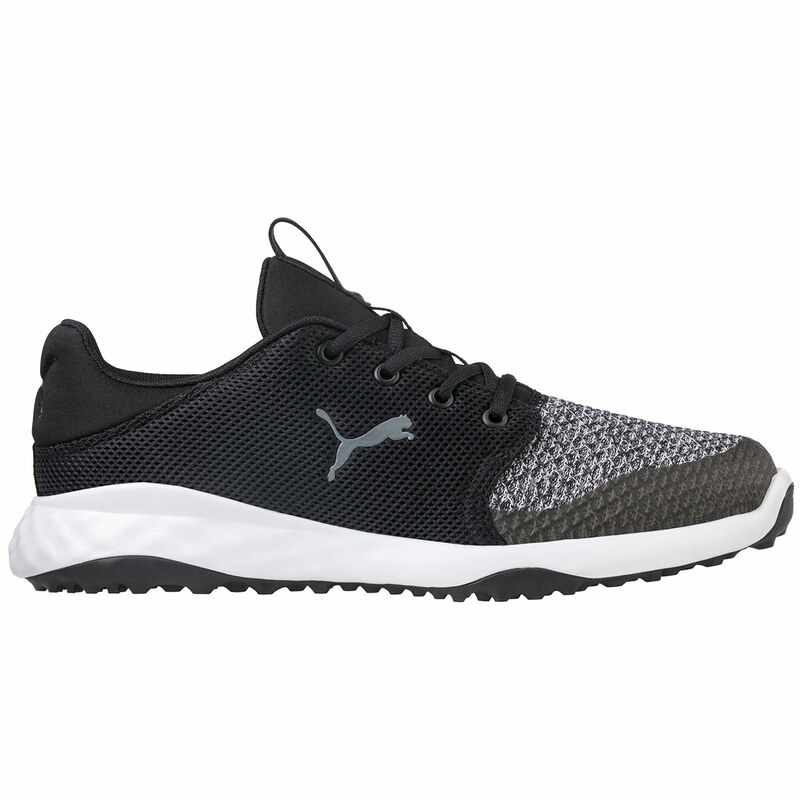 The versatile golf shoe from PUMA Golf, provides endless comfort and performance, both on and off the golf course. Designed to bring you high street style, with a lightweight and extremely breathable mesh upper, and an ultra-responsive Fusion Foam midsole for an athletic look and feel. The shoes have been constructed with an abrasion resistant carbon rubber outsole, with directional lugs placed in proper zones to give you greater traction through the golf swing. This traction element provides grip on and off the turf which is perfect for all activities. 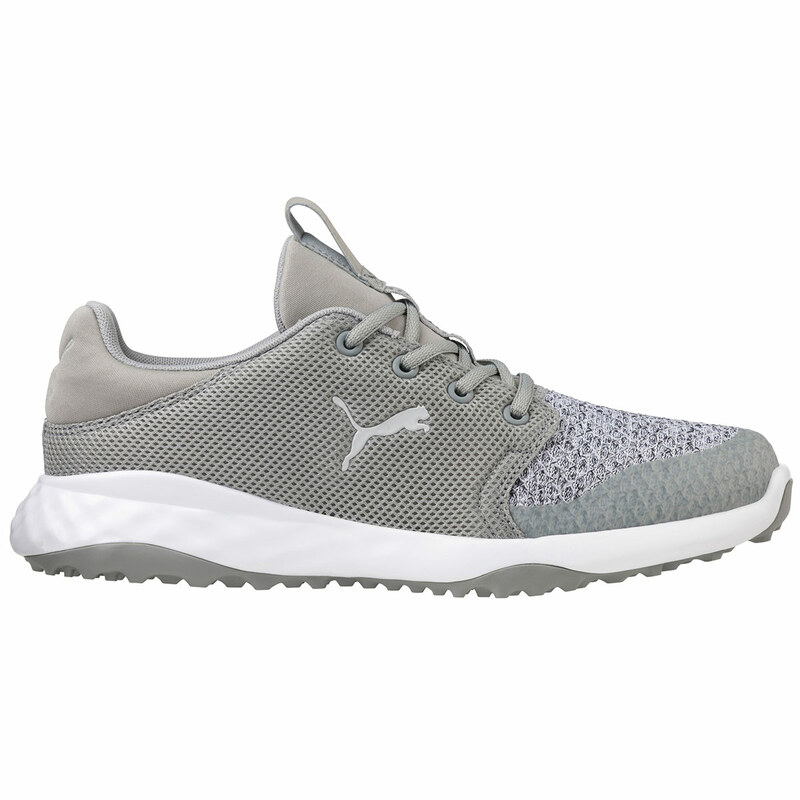 To provide more energy return and stable cushioning the shoes feature Fusion Foam, this super soft EVA foam midsole layer provides enhanced comfort. 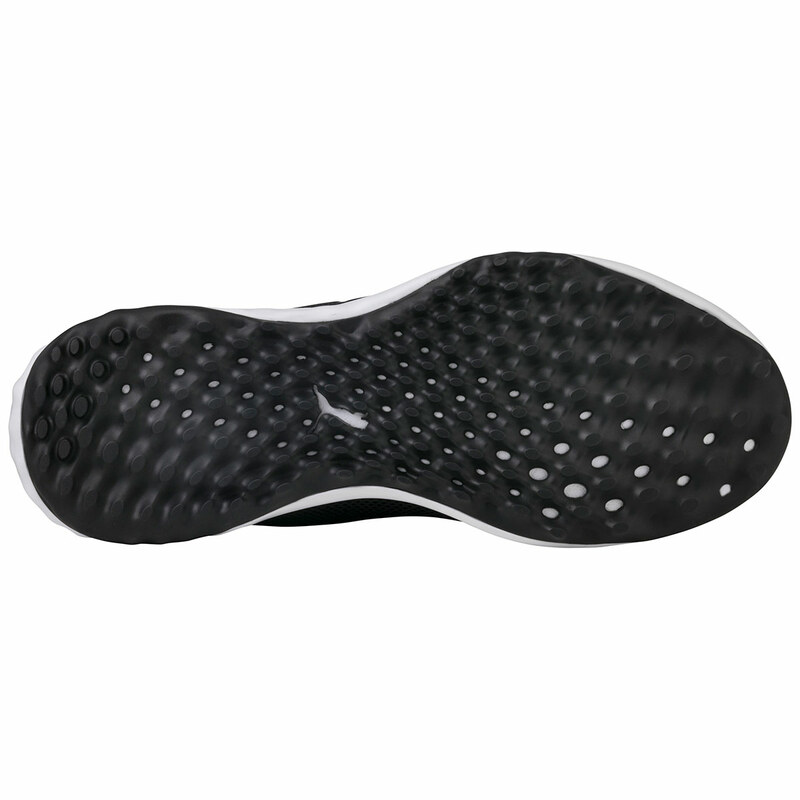 Combined with the Soft Foam dual density two layered insoles for long lasting durability and all-day comfort.